Jax and I were really enjoying our extra time together on my week off. Matt was able to take Thursday and Friday off as well, so we had some extra fun family time. We fed some fish, road bumper boats and took Jax creeking for the first time. 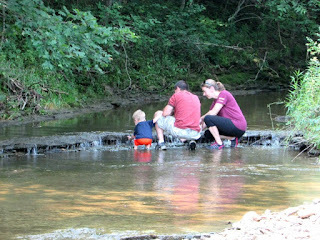 Of course any good trip to play in the creek should include a picnic and any good picnic should include brownies! This brownie recipe yields really fudge brownies and they come together super quick using nothing but the ingredients you already have on hand. These would be perfect with Marlene's Fudge Frosting and a scoop of ice cream if you really want to take it over the top. For our picnic we kept them plain. Melt the butter in a saucepan, then remove from the heat. Stir in the cocoa and instant coffee until dissolved. Whisk in eggs, vanilla and almond until shiny. 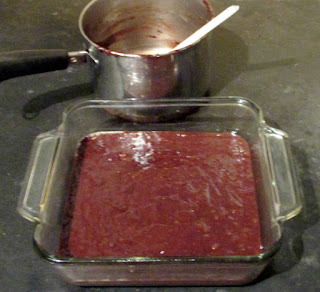 Spread in a 8x8 or 9x9 pan. Bake for 15-20 minutes or until set. 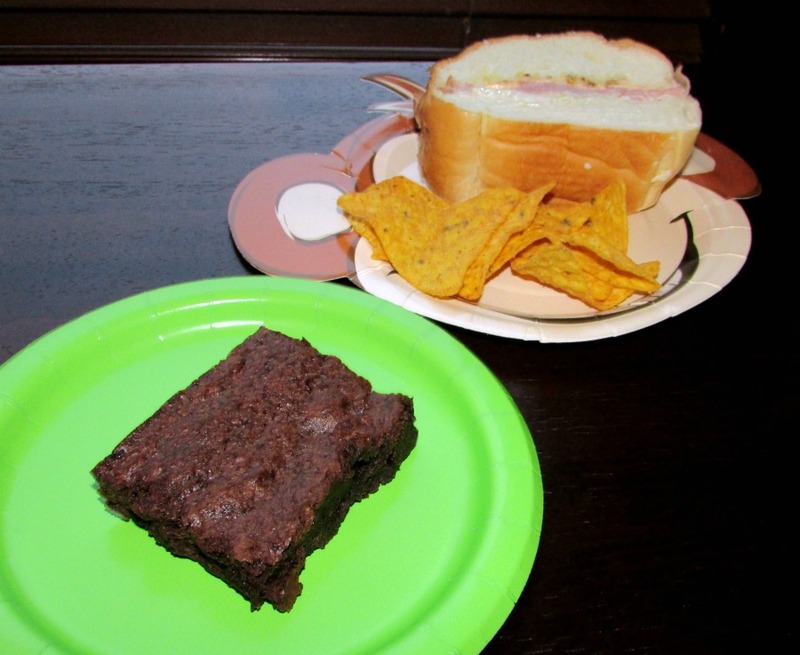 I love brownies and adding frosting and ice cream sounds really good! Thanks for the recipe! Me too! And the more ooey gooey and decadent the better! Thanks for stopping by! They really are good. Thank you so much for hosting!